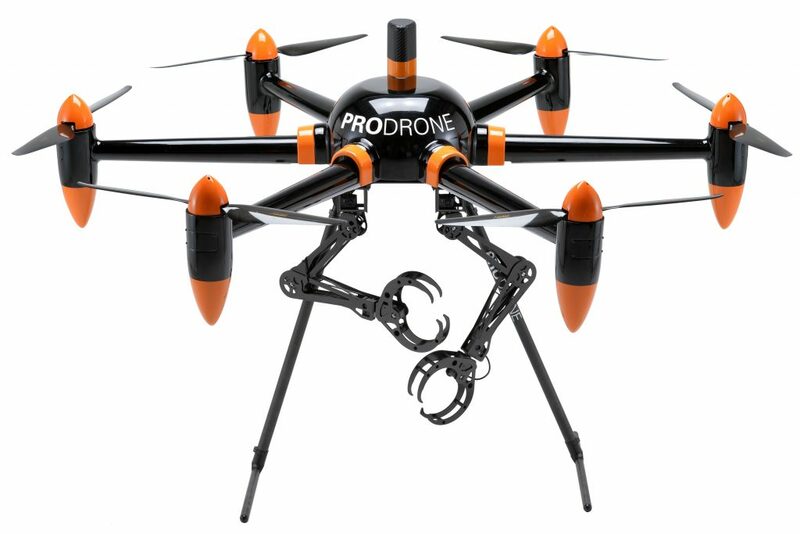 Prodrone Co., Ltd., headquartered in Nagoya, Japan, is pleased to announce it has developed the PD6B-AW-ARM, a large-format drone equipped with two internally-developed robotic arms, enabling it to directly accomplish a variety of tasks. Up to now the industrial and commercial drone market has focused on using drones for photography and filming, mapping, surveying, spraying pesticides, etc., but there is increasingly strong demand for drones to be able to directly perform specific “hands-on” operations. With its unrivaled engineering and technological skills, Prodrone Co., Ltd. aims to be the world’s number one developer of commercial and industrial drones. PRODRONE is a B2B industrial drone system manufacturer established in Nagoya, Japan, in January 2015 by experts with over 20 years of experience in a variety of specialized fields. Since its founding, PRODRONE has developed an assortment of customized industrial drones on consignment for numerous drone service providers and manufacturers in the industrial drone market. The company’s successes include large drones that can carry 30kg (66lbs) of payload, drones specifically designed for laser surveying, drones capable of surveying at high-altitudes over 5,500m (18,000ft), drones able to land on water, drones capable of reading RFID at high speeds, drones designed to inspect bridges and other infrastructure, all-weather large-format platforms, drones for pesticide spraying, numerous drones for academic research, and many more.